Once we have reservations coming in, we will update the plot assignment page for 2019. 2019 Upate #1 Time to Think about Gardening?? We have an early registration for a garden plot for 2019 so it’s time to do an update! We usually don’t take registrations until April or so but we understand your eagerness to get started. We are doing some renovations this year. The City of Cedar Falls will plow up the entire area this spring and we are still working on a new layout. We will likely put 4 plots together with a six foot pathway between each set and may modify plot sizes. This reduces mowing edges for the mower and fencing for those with multiple plots. Pricing may change so we’d appreciate if you wait until we get the new configuration drawn up to reserve and pay or there maybe be an additional charge. Also we will give priority to Cedar Falls gardeners first and then others if space remains. So welcome aboard for another year May we stay high and dry! At the back east end of garden looking west towards downtown. The final flood crest was about 95.6. Higher than forecast and a lot higher than the one we had in early September though the original forecasts were about the same. The Cedar River is a capricious spirit!! Anyway, the flood water filled in Lincoln Street in front of the gardens and lapped into the front gardens and also filled in from the back side and lapped into the back gardens. Any low spots filled with flood and/or ground water. If you planned to carve, not eat, your pumpkins, you should be able to give them a quick scrub and still use them for decorations But Extension tells us you should not eat anything even potentially contaminated by flood waters. It’s fall. Time to enjoy those squash and melons, any fall crops you planted and it’s also time to start clean up on your garden space. As always we encourage gardeners to take their garden debris to the compost facility just over on East Main. No debris piles are allowed near the gardens. If you can’t haul it to the compost facility, please dump it in the tall grass at the far back of the property. There is a small strip of grass nearer on the east end. This is NOT a dumping area. Carry it to the far back grass strip. Failure to clear your garden plot of all fencing and plants or improper dumping means you will not be able to rent a plot again next year. We plan to have the water turned off on November 1st. If you are still babying along some Kale (it loves a little frost) or other fall plantings, you will have to bring in your own water. Finally, the flood forecast is 95.2 on Sunday morning. This may close down the compost facility for a day or two but should leave the garden above water (knock on wood). Last flood ended up being a foot below it’s forecast of 95.4. But this morning, it looks as high as the last flood and rising fairly quickly. I was out at the compost facility several times and they are closing the bike trails back there since they were already under water. I could see the increase in water every time I drove in. I also saw some barriers and road signs on standby in a few areas of town. Just a heads up It’s easier to take down fences BEFORE it floods. Every year we comment about the changes in weather patterns and the impact on our gardens. Just yesterday, we were discussing the late frost dates we have had the last few years. So will that help us get a few more miles from our gardens this year?? Several vegetables can be planted in late summer for a fall crop. For a fall crop, plant beets, carrots, Swiss chard, kohlrabi and kale in early to mid-August, plant leaf lettuce and spinach in late August to early September and plant radishes from mid- to late September. Due to hot, dry soil conditions, seed germination in late summer is often rather poor. To promote seed germination, plant fall vegetables when the soil is moist after a rain, sow the seeds slightly deeper than spring plantings and lightly water the row after the seeds have been sown. Lettuce seeds are sensitive to extreme heat. To achieve good lettuce seed germination, check the weather forecast and sow the seeds when a prolonged period of mild weather is predicted. How to tell if your melons and squash are ready to pick. recognize it when it’s there. is, when the melon is ripe, it comes off the vine easily (for most varieties). creamy or white, it’s not ready. If your melon is squishy or cracked, it should be harvested immediately. 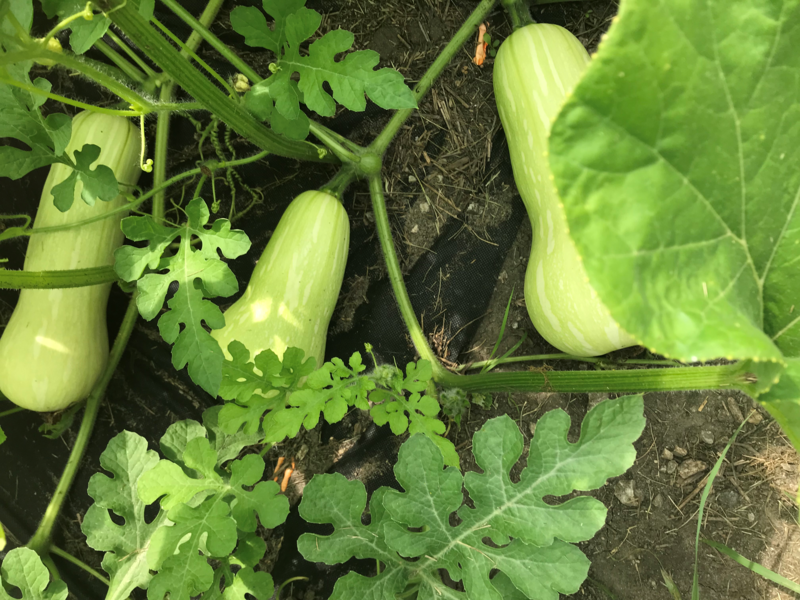 Summer squash like zucchini is best picked at about 6 inches or after the blossom has died off. The bigger it gets, the more at risk you are for a seedy, woody textured squash. 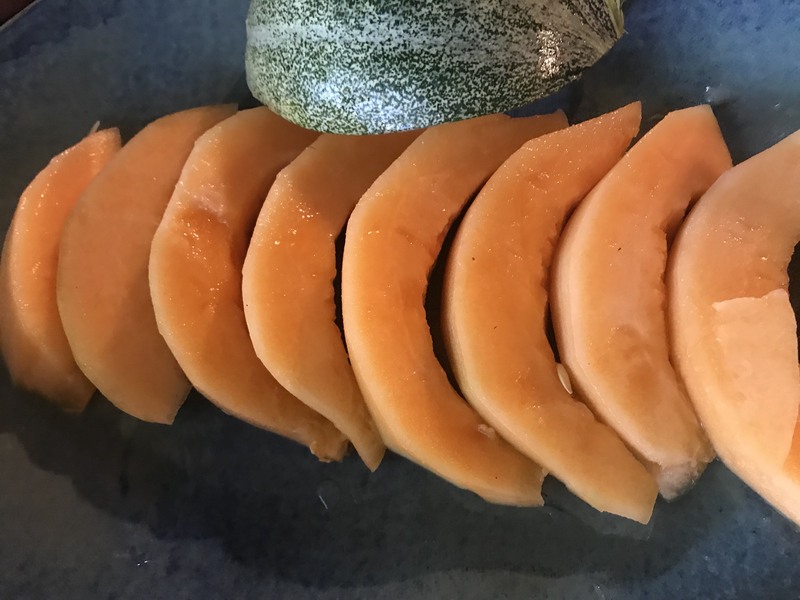 Winter squash like butternut or acorns, are best when you are able to push against it with a fingernail and not have the fingernail leave a mark. The skin will be hard for most winter squash (Delicata is an exception, it’s skin remains thin). The skin will have lost it’s gloss and the vine will be dry. After spending some time talking to them, it became clear that they thought, like others have in the past, “Community Gardens” means “a garden for the community to share”. A Community Garden is a publicly owned area made available to individuals who have no where else to garden. Local Community members are able to rent a plot each year. Each buys their own plants and seeds and cares for their individual plot. The plot and it’s produce are the property of the individual gardener. The rent money is spent on general upkeep for common areas within the gardens and to provide water for the plots..
We know how frustrating it can be to have something you’ve been growing vanish overnight. 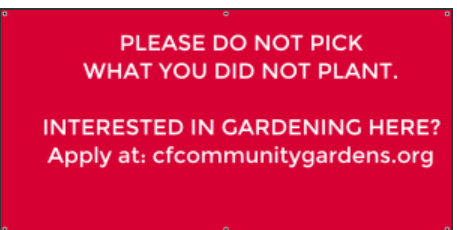 There will be a new sign in the garden soon urging people to not pick anything they did not plant. We will encourage anyone interested in gardening to get a plot next spring and list the website on the sign. In the next couple weeks, our gardens will be at their peak. If you are too busy to pick your produce, or just cannot use it, let us know. Please do not let your veggies rot on the vine. We will be happy to harvest your unwanted produce and bring it to the NE Iowa Food Bank. Gorgeous Monarch butterfly hovers over the garden next to the Milkweed Preserve. Photo by Peg Keller. It was a beautiful morning out at the gardens. We did a quick walk through and, for the most part, this year’s gardeners are keeping up with their work despite the brutal hot weather!! A few gardens are getting a new flush of weeds from the rain and last weeks heat but the nice weather the next few days will let everyone get caught up again! We have issued official weed warnings to a couple of gardens. If not cleaned up by next Monday, the gardens will be forfeited. We’ll be looking for volunteers to help clean those plots up next week if needed. Email us if you can help. If anything is salvageable, like tomato or pepper plants, or squash, the plot can be reassigned to someone to care for and use. Be sure to check your gardens for weeds and grasses over six inches OR going to seed. Those can and will trigger weed warnings. If you grew up around gardens, you probably remember the big farm gardens with NO weeds. Part of that is from early maintenance in the spring but also from the cumulative effect of keeping weed seeds out of the gardens year after year. We are working towards that goal in our gardens. It’s early days yet after the gardens were allowed become totally overgrown a couple of years ago but we hope a couple more summers of hard work will get the garden plots back into shape. 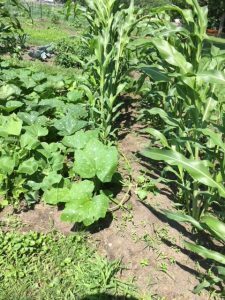 Just imagine….part of a beautifully maintained farm vegetable garden will be yours! We saw some tiny little watermelons sprouting on the ends of few vines and redirected runners back in to gardens if we saw any runaways. I should have grabbed a photo. They really are cute, Be sure to check your vines every week! The tips are vulnerable to the lawn mower!! Gardeners are also pulling onions, picking cabbages and other greens. All the work is starting to pay off. We’re all looking forward to the new tomatoes and many peppers are starting to bear fruit. A Reminder to the General Public. 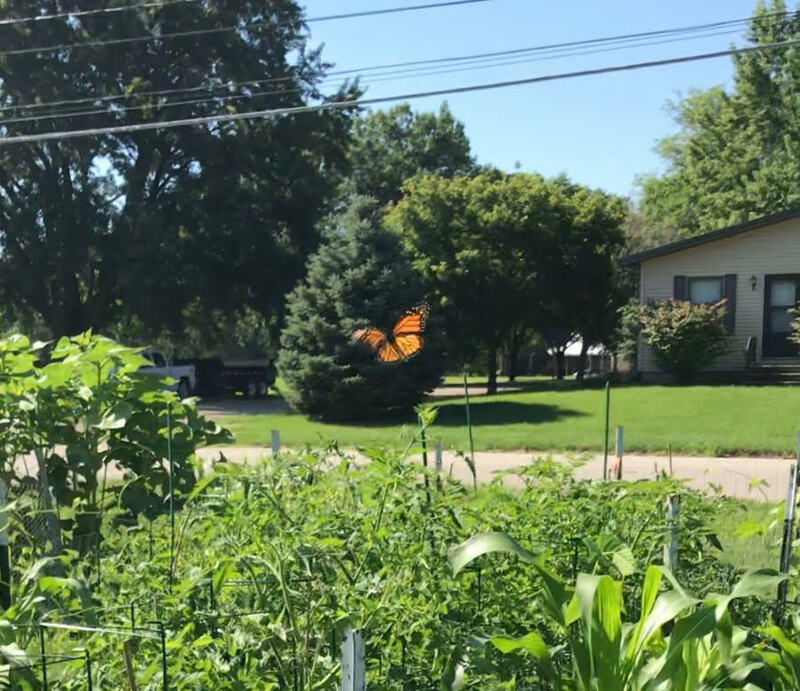 This area is set aside by the City of Cedar Falls to allow area residents to be able to grow vegetable gardens when they can’t at their homes. 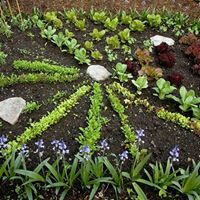 Each gardener pays plot rent and invests in plants and seeds and a lot of hard work to grow their favorite vegetables. Each garden is private and can only be harvested by the individual assigned to it. Last year we had some problems with theft. It was especially frustrating as some of the melons and squash stolen weren’t even ripe yet. When any of our gardeners find themselves with more produce then they can use themselves, they donate the surplus to the Food Bank. We encourage anyone looking for fresh produce to shop at the Farmers Market or to get in touch with the Food Bank. A big thank you to Kevin Cross and the City of Cedar Falls for restricting parking near the gardens this year, We had snow fence, pylons and caution tape and surveillance cameras. As of Sunday morning, it seemed as if no one had backed into or driven through any planted plots. I hope you all double check our Facebook page. The Garden Committee member who keeps an eye on it has a real knack for finding fun photos and pictures to tie into the commentary!!! She includes the information from here on the webpage and in garden emails and adds even more. And each of our gardeners is encouraged to post their garden pictures as well. We sadly think the two legged bandit is back. One gardener had a cabbage stolen from their plot on Friday or Saturday. So please double check your gardens and let us know if anything is ‘missing’. The surveillance camera should help with this problem and we will be putting up some signs reminding visitors that while this may be a ‘community’ garden, the individual plots are private. Each gardener has invested time, money and sweat into their plots and deserve to be able to enjoy the product of their hard work. 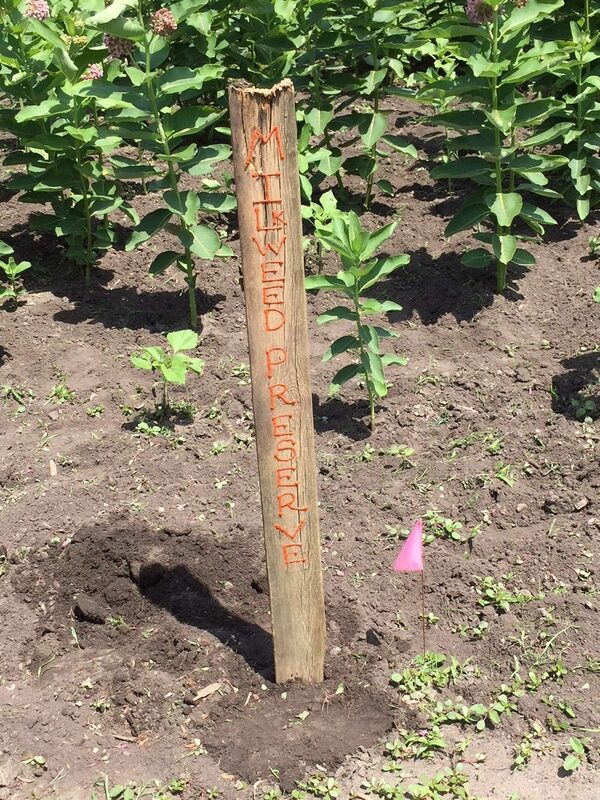 We feel like we harp about the weeds but asking everyone to pitch in and do their part by keeping their own plots weed free makes the Gardens a better place for everyone. John mowed again on Sunday morning so stop by and take a look Any weeds and grasses between the pathways and your garden that didn’t get mowed are YOUR responsibility to clear. And if there are weeds in your fence, clean it out!! Also check your fences (especially that chicken wire and other floppy materials) and be sure the fence is tight. On Monday, we will be issuing official 7 day warnings for those gardens/fences that are out of compliance with garden rules and standards. Warned gardeners will have 7 days to clean up their area or they will forfeit their garden. We did a quick calculation on the number of hours it takes to keep the pathways mowed (2 1/2 hours each mow) and equipment costs and realized that without the volunteer who pushes that mower around (thank you John), we would need to almost double the rental cost for each plot to cover the expense of hiring mowers. 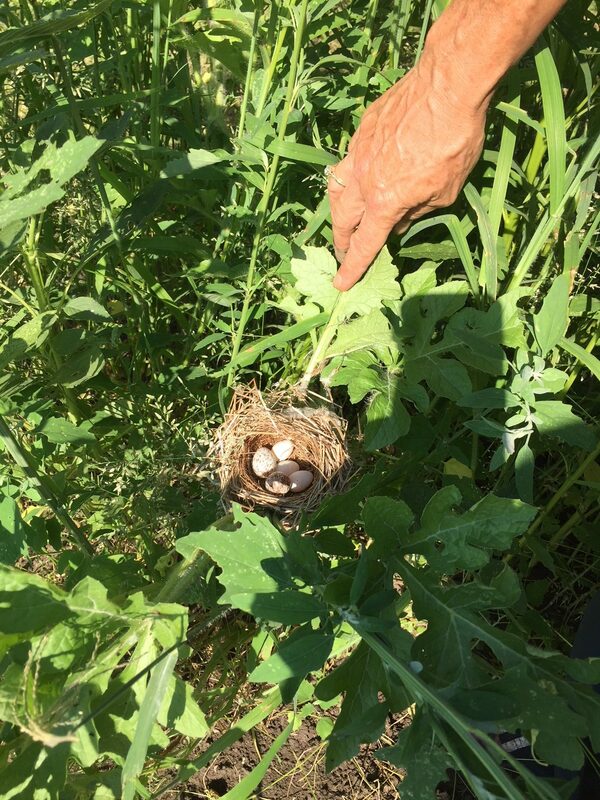 So there is a good reason why we ask you to not toss rocks, dirt and large weeds into the pathways. Each one can damage the mower and take up valuable mowing time. 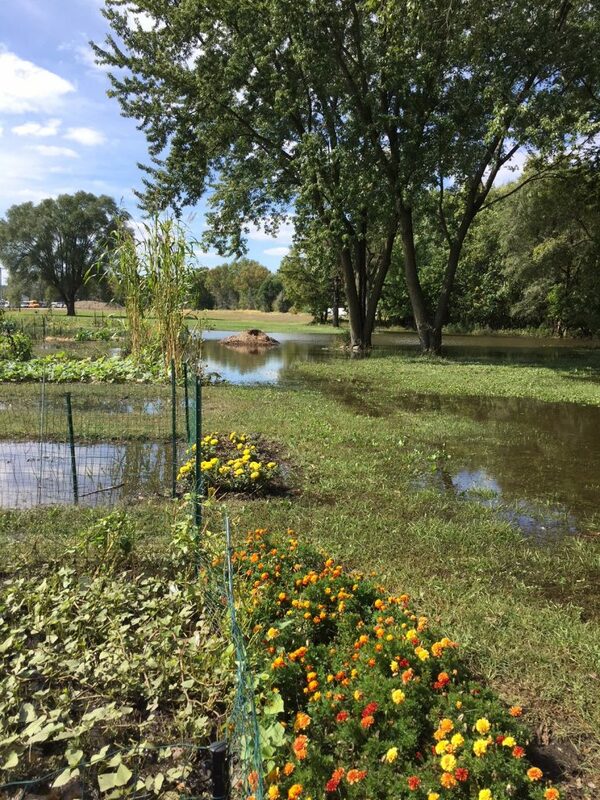 Your annual plot rental fee also covers the cost of the water from Cedar Falls Utilities, the watering equipment and anything else that is needed. Our simple rules make it nicer and CHEAPER for everyone. And those of you who gardened here before last year, know how awful it is to not have the pathways mowed and the neighbors weeds so high your garden is shaded all day.